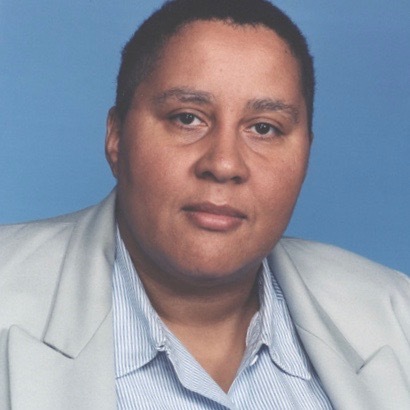 Sheila Briggs is Associate Professor of Religion and Gender Studies at the University of Southern California. Her field is theology and the history of theology. Her special interests include both contemporary and historical subjects. She works in feminist theology, ethics, and theory. She is co-editor of the Oxford Handbook of Feminist Theology (Oxford University Press, 2011). Her research in contemporary areas focuses on science and technology as well as popular culture—and she relates both of these to the study of religion and gender. A particular concern are representations of religion in television culture (she has written about the cult television show, Xena Warrior Princess). Her historical work concentrates on the ancient Mediterranean and early Christianity. She has published on the relationship of gender, slavery, and technology in the ancient world and how these trifold interactions shaped the early Christian moral imagination. Both her contemporary and historical work emphasizes how sexuality is located within a physical embodiment, also determined by technological and economic conditions. She seeks to address issues of human inequality through exploring the entanglement of the search for transcendence with our complex embodied existence. Sexuality shapes the full range of our interpersonal relationships. We are present to one another not only as friends and lovers but also as citizens, workers and consumers. Technology is transforming all of these dimensions of our individual and collective existence. The impacts of technology in one area of our lives affect us in others: one cannot isolate our interpersonal relationships from how we are economic and political actors. To think about how technological innovation is affecting our sexuality, we need to go beyond a discussion of social media and dating apps. In fact, technology has already radically transformed our sexuality—especially women’s experience of their sexuality. By the middle of the 20th century reproductive technology was able to provide women with safe and reliable means for controlling their fertility. Contraception is the technological innovation that has most profoundly altered women’s lives. It not only expanded their sexual choices but also increased their opportunities for education and participation in the workforce. We can expect that in the 21st century reproductive technologies will be as disruptive and controversial as they have been in the twentieth. But it is not only reproductive technologies that will transform our experience of sexuality. Klaus Schwab, founder and executive chairman of the World Economic Forum has argued that the Fourth Industrial Revolution “is characterized by a fusion of technologies that is blurring the lines between the physical, digital, and biological spheres.” There is, however, a legitimate fear that as technologies become more powerful, more complex and only understood by experts, people will increasingly lose control over their lives. By promoting reproductive and sexual choice and by encouraging people to make their own decisions about what conventional expressions of gender they adopt or discard, we can establish sexuality as a gauge for how technologies are shaping our lives and the control that we have of them. We need a robust and accessible theological and ethical framework that helps people see the connections between physical embodiment, labor, and sexuality. This should enable people to see how biomedical interventions that affect our physical bodies and capabilities and technological innovations that change the conditions and rewards of labor also have an impact on our sexuality. In one sense, this makes our sexuality the canary in the mine that can warn of the dangers of technological disruption that bring most people few benefits. But it also will allow us to embrace technological innovations when we see how our sexual well-being is enhanced through the expansion not only of material resources but also of our imagination. Our sexuality becomes an effective measure of whether the Fourth Industrial Revolution is really leading to a more meaningful life for all.